Aspyn Ovard is a lifestyle box for young women with items selected by YouTube extraordinaire Aspyn Ovard. If you don’t know who Aspyn Ovard is just type her name into YouTube and be amazed at the amount of videos she has posted to her channel! Aspyn offers two box options. One is My Subscription Box for $15 every other month and the other is her VIA (Very Important Aspynista) box for $49 every other month. This review is for the VIA box. The Products: Each box is based around a theme and can include fashion, accessories, beauty, home and lifestyle items. Each box comes with a card detailing the month’s brand partners and retail prices. Aspyn’s theme with this box was Summer Essentials. This lollipop was custom made by Aspyn and features a summer trending pineapple and her AO initials. These are some of the coolest lollipops I’ve ever seen. This skinny belt has no tag or manufacturer name. It’s a summery pale blue, but unfortunately it does have an off-putting chemical smell. Maybe it’s the glue they use?? My thin straight hair doesn’t work with products; they always end up weighing it down more. I’ll be passing this along to a friend. I liked this mascara formula – it added a good amount of length and fullness, but I prefer straight wands over curved so this won’t replace my favorite Smashbox mascara. The steam pore pack is dark gray and has a warming feeling as you rub it onto your skin. It exfoliates and feels so good. I love anything that exfoliates! The cooling pack is whitish and has a menthol smell and a cool tingly feeling on your skin that lasts about 10 minutes even after rinsing off. My skin felt so good after using both steps. I might be purchasing these in full-size, they were so good. I found my new favorite organic lip balm. I love anything that is scented with coconut and this lip balm smells amazing, It also feels so moisturizing and really lasts. There were two jewelry items in this box. Both are wrapped in little baggies and no manufacturing information is given. All things pineapple this summer in subscription boxes it seems! These are cute and I will wear them this summer for sure. This anklet isn’t something I feel like I can rock, but it’s a cool piece. I’ll pass this along to our babysitter who is young and cool! I love this vegan leather sticker. It’s going right onto my boring work laptop to make me smile whenever I see it. There is nothing on the Buddy Scrub website for $10 so you’d need to pay in part but I think it’s still a good discount. This is an Australian company and shipping fees apply. Shipping to NJ was $6 just to give you an idea. Aspyn’s watermelon slushie recipe sounds awesome. I love watermelon, this is right up my alley! This hybrid brush (part paddle brush/ part round brush) is meant to help cut drying time considerably. All I got was a tangled mess when I tried to use this but I am an admitted hair spaz so I don’t blame the brush. I blame my lack of coordination and know-how. I thought it was so funny when I took it out of the box and it was filled with paper crinkles! I love adult coloring books and think it’s such a relaxing thing to do when I’m stretched out on the sofa after the kids are in bed. This was a cute addition, but a mini pack of markers with more color options would have been nice I think. This vegan leather purse has an awful chemical smell. It is lined with green felt and has a buckle closure. It can be used as a crossbody bag or a clutch. My strap arrived broken (one clasp won’t open to attach it to the bag) so I will only be able to use it as a clutch. Honestly though if the smell doesn’t dissipate I won’t be using it at all. Any tricks to getting rid of the smell are very much welcomed! This coral color is an Aspyn Ovard exclusive made just for her subscribers. I love this color and plan on bringing it to my local salon when I go treat myself to a pedicure. Zoya’s Glossy Seal top coat gives a real high shine finish which I prefer. 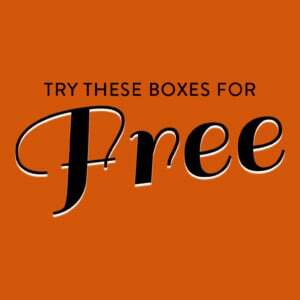 I also like that Zoya’s products are 5 Free formulas. Another pineapple ice cube tray! I’m not sure if this is the same one that PopSugar mini subscribers received since I don’t get that box, but this one has no packaging with a manufacturer name. It is soft/flexible almost like a thin rubber. I love using Liz’s idea to make Jell-O shots but I would feel better if this tray at least said BPA-free. I also feel the price is overinflated. Verdict: Wow! Once again the Aspyn Ovard box was chock full of stuff! Aspyn Ovard is very young and I know this box isn’t geared towards a married mom pushing 40, but that being said I think it had great value. I came up with a total of $162 which almost triples the cost (with shipping). While her beauty items are spot on with many full-size items and great brands I feel her jewelry/fashion items could use some work. I’d prefer to see one well-made piece of jewelry or accessory than four cheaper things. 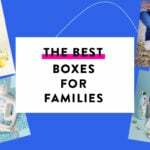 I received my first box & was so excited ! Opened it & just wanted to cry , I am so disappointed ! 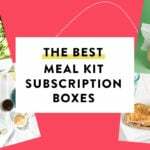 I subscribe to several different boxes a month & the most expensive one is only $15. I have been very happy with them all ! Aspyns box is the most I have ever paid for any box ever! I received, maybe $30. Worth of products? I definitely got ripped off! I have canceled, & also let them know that this box has to be a mistake , they must have sent me a $15. box that I also saw online today ! I am definitely going to put the word out to everyone, Facebook, friends, family, Twitter , ect…. I do not want to ever see anyone else get taken for their money , like they did me ! They didn’t even offer to rectify the problem, or even refund at least $35. of my money back? Please do not waste your money on this box of junk! A very angry customer!!!!! I can fix the clasp that won’t open, if not the smell. Use plyers or find a hard edge. I’m sorry, I should be asleep right now, so bear with me. Either way, put pressure on the movable part of the clasp, right by where the “jaws” meet. The coating dried in a problematic way. I used a table on 50+ on a temp job. My experience with polyurethane bags is that the cheaper they are the worse they smell. Ditto the lower the chances of the smell dissipating in time. They’re typically cheaply made Chinese bags that are like this. I used to work with a shoes and accessories buyer for Nordstrom and they avoided sourcing anything below the $25-$30 wholesale price point for exactly this reason. While it’s impossible to avoid products made in China it is possible to avoid the really poorly made, chemical infused kind. I’m always disappointed when I see subs including AliExpress-quality things, especially at a higher price point like this. For a buyer, less total products + better overall quality = better deal but for the company more is more so they buy as cheaply as possible. Then again, I’m a less is more kind of girl in general. The menthol mask irritated your skin. The ten minutes of tingly feeling was your face telling you not to put menthol on it. I have a purse that looks like leather, but it isn’t. “Vegan leather” is silly. If you don’t want to use leather because you are a vegan, why on earth use that word in the first place? Why not ‘vegan friendly’ material? I was gonna get the 15 dollar box because it does come with tons of stuff and the bigger box just comes with a few extra’s… But the shipping was 10 dollats to ship to Ma and I thought she was from Utah of Michigan. I emailed them and it was because the boxes are coming from Canada which I thought that was alittle strange only because it is a different country. I would of got that box but not 10 for shipping and to cancel it was really strange. They charge you the month before and you have to email to cancel and I hate that. If I just want one box and I am paying for it and I am paying for it to be shipped I dont want to be charged if I forget a month before I get my box…. So that is that… Anyway the box had do cute things and I really like to have a box full even if I dont use everything. “Aspynista”? Oh, how I cringe…. How does any of this – except maybe the ice cube tray – have anything to do with DIY Party? Good catch! This theme was summer essentials. ? Really I’d like to get this box, but not if it has so many duplicates. That really is one “cool” looking lollipop:) Pineapple earrings are cute. I received an anklet like that in a jewelry sub once and it took me awhile just to figure out what it was?. A lot of theses things seem like they are in other subs lately. I have to admit the anklet confused me at first too! RE: Smelly purse. Get unscented dryer sheets. Ball up on loosely, stuff into purse. Take another sheet, wrap it around purse, but in garage for a week. That should help…if it can be helped. Some vegan leather can’t be cured. Thank you, Tat! I will try the dryer sheet trick. And really, what is vegan leather? Not a bad box, just too young for me but I’m not in the target group. Charcoal absorbs smells. Perhaps you could but a few briquettes in a sock and put in the bag? Another good idea, Lin. Thanks! I am in the target audience and I totally agree.